My brother recently called me a hippie. I had to laugh, because I am not a hippie! But when I say things like “We don’t have a microwave” I certainly see how it could look that way. 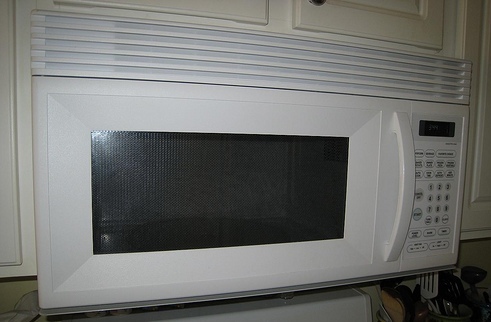 Click on over to Quick and Easy, Cheap and Healthy to read why we don’t have a microwave and how we survive without one. That’s so funny. My brother says the same thing about me (regarding just about everything I do). But in all honesty, we don’t have a microwave either, haven’t for years. Just not something I want in my house, nothing I need it for, nothing I would EVER cook in it! We just reheat things on the stove or in the oven. More dishes, yes a few (but I reheat things on an eco-friendly non-stick pan – they are so quick to clean). I’m proud to say, we will never have one again. And yes, the toaster oven is a great addition to any kitchen without a microwave.